Technology that enables drivers to pay tolls automatically, using a small device mounted to their cars, has become increasingly popular. Economists compared the toll rates in places using automated collection with those that collect tolls manually. They found that automated collection is associated with toll rate increases 20 to 40 percent higher than in places using manual collection. This difference may be due to the costs associated with the technology. However, another study showed that manually collected tolls increased the least during election years, while automatic tolls showed no such pattern. Which of the following hypotheses is best supported by the statements given? (A)	Despite lower increases, manual toll collection is much more expensive than is automated collection. (B)	Rates where tolls are manually collected are less politically motivated than rates where tolls are automatically collected. (C)	Politicians seeking reelection try to keep manually collected tolls low in order to garner favor with their constituents, while they do not make the same effort with automatically collected tolls. (D)	In the years following election years, manually collected tolls increase more than do automatically collected tolls. (E)	As voters grow accustomed to automatically collected tolls, they will associate those rates with their elected officials, so politicians seeking reelection will attempt to limit those rate increases, as well. In election years, manual tolls increase the least while automatic tolls do not. What does this indicate? That manual toll increases are somewhere tied to election year. [A]: If manual toll collection is more expensive, toll increases at manual tolls should be higher than those at automatic tolls, even in election years. Incorrect. [B]: The fact that manual tolls rise less in election years shows just the opposite - that manual polls are more politically motivated. Incorrect. [C]: Correct. This seems plausible given that manual tolls do not rise in an election year, while there is no pattern for automatic polls. [D]: This is difficult to conclude. We only know what happens in election years, not after them. Incorrect. [E]: There is no evidence for this. Incorrect. Originally posted by GyanOne on 20 Feb 2013, 21:44. 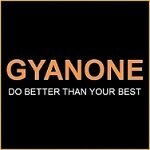 Last edited by GyanOne on 21 Feb 2013, 07:31, edited 1 time in total. C) correct	Politicians seeking reelection try to keep manually collected tolls low in order to garner favor with their constituents, while they do not make the same effort with automatically collected tolls. You have to have the darkness for the dawn to come. This is the opposite of what the argument says. Correct choice that explains that during the election year why manual tolls does not show rise in the collect bu the automatic toll collection does. Hi, what is the source??? As all the options bring in new information, I don't think any is correct. But, the best in these is C.
Having said that, I do not really think that this is a good question.